Here is the AccuWeather Regional Radar at 7:30am CST. It is snowing along I-70 from Woodland, Kansas through Denver and into the foothills. 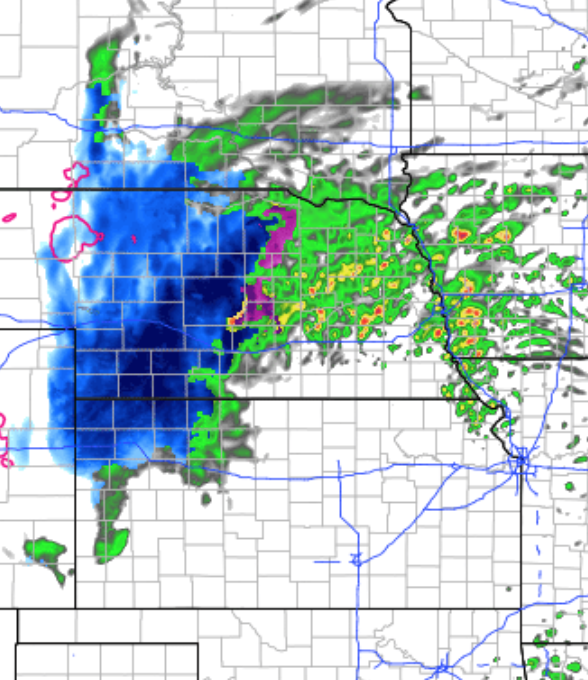 The forecast for noon is below with the dark blue the the heavy snow.